Well!!!! What do you say when you run out of adjectives, because thats how Im feeling right now. 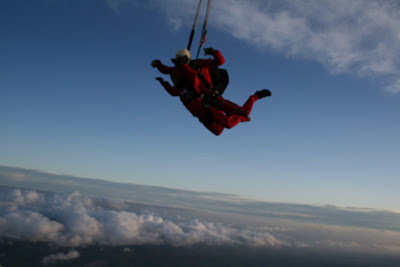 Awesome just doesnt cover the experience of skydiving...YES I DID IT!!!!! 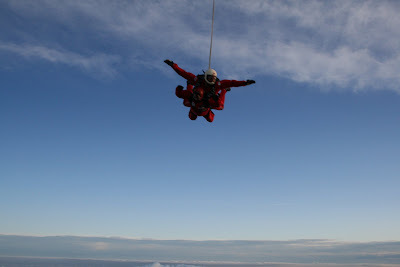 The picture above was taken near the end of the free fall which was just amazing and didnt last long enough. Before I jumped I had imagined my stomach would be somewhere where my brain should be, however free falling like this at a rate of 10,000 miles per minute just didnt feel like falling its the only way I can put it, Ive felt worse on some funfair rides and can only say those 40 seconds passed far too quickly, it really was an unforgettable experience. Prior to the actual jump from the plane I found myself suspended outside the airplane with my tandem instructor sat at the door with his legs over the edge ready to jump, this was the bit I dreaded but that wasnt too bad either, within seconds I was reeling of into space and another few seconds all had flattened out and we were in free fall. 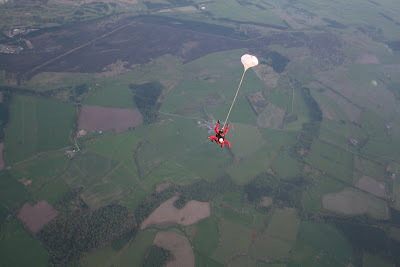 The parachute opened and up we went, then the beautiful silence and the earth spread out below me in all its glory. The Red Devil filming the jump apparently took off a little to early ( he was really cute so he's forgiven ) and instead of landing at the airfield we landed in some fields quite a bit away, meaning they sent a car out to pick us up. We also landed in a field of horses who had a look of wtf!!! thankfully they werent too startled by our arrival from the skies as we slid on our backsides toward them. The camera guy however landed in the next field, that contained a happy bunch of cows and non too happy bull, needless to say he didnt stay too long and got out of there as quickly as he could grab his parachute..This somehow added more fun to the day, which is the perfect way to describe it. The Red Devils were a great bunch of guys and somehow you just knew you were in safe hands. Cant wait to do it all again !!!!!!!!!!!!!!!!!!!!!! and if you ever get the chance then go for it!!!! unforgettable !!!!! to the article there is even now a definitely as you did in the decrease publication of this request www.google.com/ie?as_q=picture collage maker 1.80 ? so long we've heard from you...did you really flew away like a beautiful bird ? Can this work, Dearest Auds? After right on 7 years since this post? 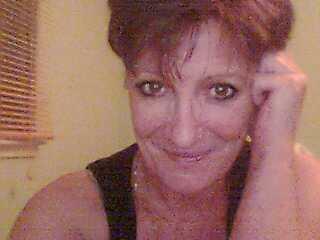 If Analia could suddenly find me today on Facebook, then surely I can find you at last! And yes, I've tried. Easiest start place for you is FB, my own name.